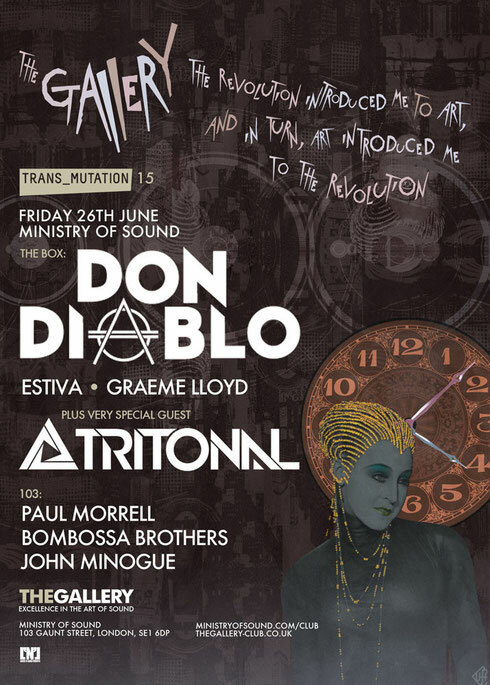 Don Diablo and Tritonal will both be making appearances at The Gallery at Ministry of Sound on Friday 26 June. The Gallery welcomes ‘The Don’, in this case of Don Diablo, who makes a Friday night debut. Expect to hear his own productions that span all genres – hence giving Diablo’s deck sessions their eclectic nature. Plus not forgetting a remix discography which includes amongst others Laidback Luke, Cassius, The Chemical Brothers, Nervo and R3hab as collaborators. Tritonal’s Chad and Dave return to Ministry from Austin, Texas, after a two-year hiatus. Having made their inaugural Gallery performance in 2011, an inimitable vibrant sound plus unique level of crowd interaction - led to arguably the most impassioned debut to ever grace The Box at The Gallery apparently! Subsequent shows further strengthened this affinity with The Gallery faithful, culminating in 2013 with an Enhanced label showcase to mark Ministry of Sound’s 22nd Birthday, plus a Thames boat party on the same night.